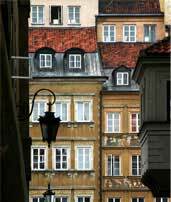 Rents: Can landlord and tenant freely agree rents in Poland? Rents can be freely negotiated between landlord and tenant. Under an important new law (UOL) passed July 2001 (see below) any rent increase in all new tenancies was limited to below the rate of inflation. This stipulation was promptly declared unconstitutional. In addition under the UOL, tenancies leased before July 2001 were to remain strongly rent-regulated, but only until end-2004. At time of writing there was no news of the extension of this date. So by virtue of a) the Constitutional Court Ruling and b) the non-amendment of the UOL's end-2004 rent deregulation deadline, the entire rental market now appears to be free . Rent indexation clauses are legal. The legal status of other progressive rent increase clauses is unclear . The landlord may increase the rent once every six months, by giving one month's notice. The UOL limits the maximum deposit to 12 months rent. The deposit to be repaid to the tenant is based on a multiple, not on the amount of rent stipulated in the contract, but on the amount of rent at the time of termination. So if the rent remains the same throughout the contract, the tenant will be given back precisely what he paid in deposit. What rights do landlords and tenants have in Poland, especially as to duration of contract, and eviction? Contracts limited in time, and those unlimited in time, have very different implications. The tenant can however terminate at any time, without stating any reason, by giving a notice of three times the normal rent payment period. Contracts limited in time can be concluded for any specified period, except that once a contract has been in operation for ten years; it transforms itself into as contract unlimited in time. Till recently, the duration was fixed at not less than three years, inconveniently preventing short-term 'occasional tenancies.' But from 15 July 2003 these limitations are no longer valid, and contracts limited in time can freely be concluded for shorter periods. The parties can freely decide on the time limit within which a notice of termination must be given. They parties may also freely decide the grounds for termination of the contract, though the reasons must be stated in the contract, and referred to where written notice is given. Tenancy contracts for a period in excess of one year must be in writing (Civil Code Art 660) or else they become contracts of unlimited duration. Automatic renewal every year can be lawfully stipulated in the contract. How effective is the Polish legal system? The courts are not very effective, because of excessive workload and overly formal, inflexible procedural rules . Rent overdue for more than 3 months may form the basis, after another month's grace, for an eviction order - but in 2001 a mere 3% of tenants whose rent was thus overdue were served with such an order. "This clearly reveals the eviction process to be less than straightforward or reliable, particularly for landlords," notes a European University Institute (EUI) report. Polish legislation on tenancy law is scattered throughout the statute-book. Laws of relevance include the Civil Code of 23 April 1964, Part3, Title XV11, Section 1, Arts 659-692; the Decree on Tenancy of 28 July 1948; the Act of 2 July 1994 (Tenancy Law); the Act on Cooperative Housing of 15 December 2000; the Act on the protection of tenant's rights, communal housing stock and the civil Code amendments of 21 July 2001 (referred to as UOL), and its amendment of 9 May 2003. After the devastation of World War 11, the incoming communist Government allocated the homeless to existing buildings; up to 1974 families were still being made to share single-family apartments. In the 1960s new sources of housing appeared, co-operative housing and state-run company housing. Rents were set at pre-war levels, and not raised till 1965. After 1989 privatization took place rapidly. 'Allocation tenants' in municipal flats were offered their flats, sometimes at 5% of market value. State-run companies' housing was sold to private companies, with the tenants in situ. Under the 1994 Housing Act rent regulation became the responsibility of the local authorities. 2004 was set as the date for the end of rent regulation, and eviction was introduced. The present situation is one of legal uncertainty. The 1997 Polish Constitution asserts contradictory fundamental rights and freedoms, at the same time asserting the obligation to protect the rights of tenants, and that the right of ownership can only be limited if the law does not violate the substance of the right. 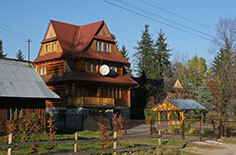 Result - many new housing-related laws have ended up in the Constitutional Court. In two decisions in 2000, the Court struck down the 1994 Housing Act's limitations on the landlord's right to freely set rents. Parliament responded with the very pro-tenant July 2001 Act on the Protection of Tenant's Rights, Communal Housing Stock and the Civil Code Amendments (referred to as UOL), whose Art 9.3 restricted all rent increases to a percentage of the inflation rate. By October 2002 the Constitutional Court had struck down this particular article. 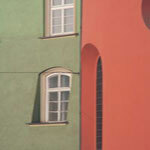 The core of the UOL was to give occupants of all dwellings a high degree of protection, regardless of the legal form. These provisions were mandatory and could not be exempted from. In the wake of the adoption of the UOL, owners became reluctant to let their property, and the supply side dropped significantly, in some regions by as much as 75 %. Developers lost interest in investing, since it appeared risky. Even constructed properties remained empty. To compensate for the increased risk, some owners began to demand higher rents and cash deposits as a guarantee. This crisis prompted Parliament to pass an amendment to the UOL on 9 May 2003, removing all time-limitations on limited time contracts, and allowing rents to be indexed. Now construction of new residences has greatly increased. A housing boom is in progress, encouraged by lower interest rates. Foreign investors are active, particularly from Spain, Ireland and Italy, hoping to replicate gains made in their own housing booms. How high are estate duties in Poland?